Waving Pennsylvania state flag; photo by Jason Trommetter on Flickr (noncommercial use permitted with attribution / share alike). 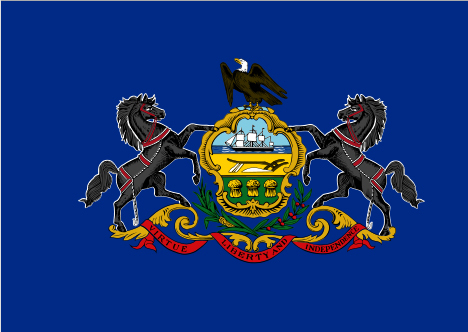 Pennsylvania's flag features the state coat of arms on a field of blue. The state motto appears on a ribbon at the base of the design ("Liberty, Virtue, Independence"). The Pennsylvania coat of arms is also featured on the state seal. 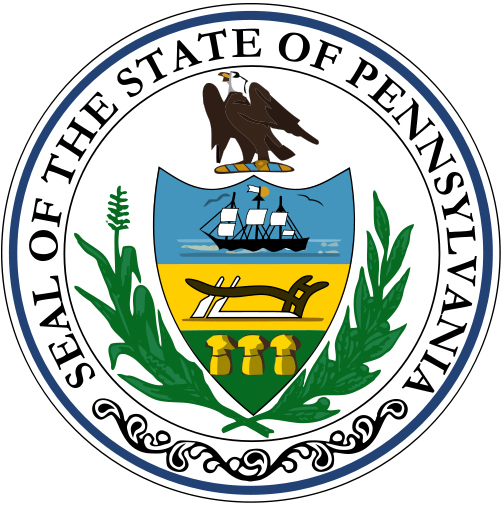 State seal of Pennsylvania; image by Henrik on Wikipedia (use permitted with attribution / share alike). 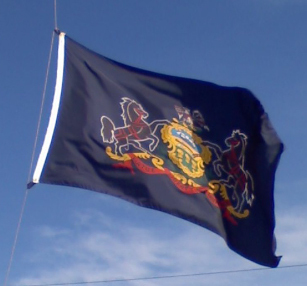 Flag of Pennsylvania (public domain image on Wikipedia).